Annagail’s “If All I Had” has been included on the new “We Are The World” disc released to radio. Annagail’s radio promoter for their current single “If All I Had,” Rick Hendrix Company, and “We Are the World” have partnered to release the song. Following the earthquake in Haiti, which devastated the area, it was agreed that the song would be re-recorded by new artists, in the hope that it would reach a new generation and help benefit the people of Haiti. The song was recorded in fourteen hours by over eighty artists on February 1, and was released and debuted on February 12, 2010, during the opening ceremony of the 2010 Winter Olympics. Rick Hendrix and his Rick Hendrix Foundation have been active in Haiti since the devastation. “We opened several short term medical facilities in the area and treated over 5000 people within 9 days,” stated Lavon Coleman chairman of the Rick Hendrix Foundation. 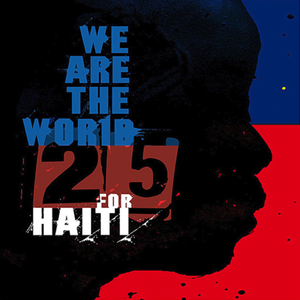 The Hendrix company’s heart is on Haiti and feels the partnership with “We Are the World 25 for Haiti” is a perfect fit.